Like all great media, video games transcend the restriction of language. Thanks to standardized interfaces, albeit complicated and vast, one can easily pick up a game in any language and navigate it. Whether or not you absorb the key gameplay concepts or the story, however, still comes down to understanding the written or spoken words. This is especially true of retro video games since a majority were born in Japan and then exported to various countries and languages (the most common being English). Unfortunately the process of translating a game requires more care than simply asking what a word or written symbol converts to in another language. Localization is a more appropriate term for what video game translation is really all about. Clyde “Mato” Mandelin has actually done it and continues to document various changes and localization between video games in Japanese and English in his wonderful Legends of Localization site. 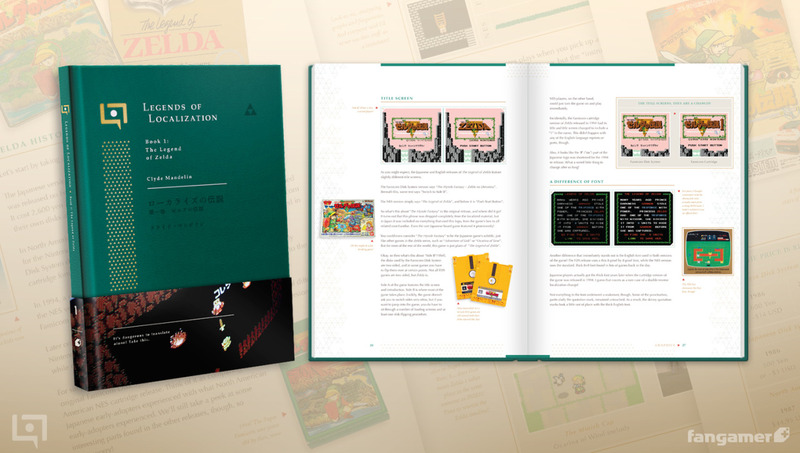 He recently took the next step and published his first hardcover book, Legends of Localization Book 1: The Legend of Zelda, which does a few things I never thought possible. For one, it taught me a bunch of stuff about The Legend of Zelda that I never knew. This week Fred is joined by Eli (@sodoom) and we are talking about the Legend of Zelda series. We delve into all of Link’s adventures across various platforms and the gaming significance of each. This installment will conclude our Generation Gap coverage. Please note that upcoming coverage on handhelds, arcades and microcomputers will follow. A lot happened just over a decade ago – the gaming market changed and one strong competitor bowed out as another took to the plate. Launch dates are getting more technical by this time, so from a Japanese standpoint the Dreamcast was a 1998 launch but we didn’t get it here until much later in September 1999. Although it is a 128-bit system, consoles had stopped toting the strength of “bits” and instead focused on a sleek design – most likely because Sony did it with Playstation and it worked. Dreamcast was Sega’s final nail before bowing out of hardware manufacturing and has been argued to also be its best offering. Regardless, the Dreamcast was definitely ahead of its time. It featured things that no console would dare launch without today and basically had the same features that Microsoft would include in its console just a few years later. A few years, that’s the difference between success and failure. Until the Dreamcast most video game consoles were specified hardware that was far behind PCs. By all accounts the Dreamcast was a simplified PC, even running Windows CE, a modified version of the operating system that would be put to greater use on later pocket PCs. The Dreamcast had a built-in modem on all consoles, which supported the earliest form of online console gaming and provided a web browser service to those fortunate or rich enough to afford the high cost of long phone calls. Furthermore a keyboard attachment allowed players to truly use their console as an Internet device and even gave way to early MMOs on the console. Memory cards included LCD dot matrix screens and were called “visual memory units” or VMUs that not only held data but gave the player on-the-go mini games and Gigapet-style games. Aside from that Dreamcast boasted higher storage with the proprietary GD-rom format (1.2 GB of storage space), impressive graphics, and a slew of solid titles.